An arrhythmia is condition in which the heart beats with an irregular or abnormal rhythm. This is sometimes felt as a “fluttering” in the chest or described the heart “skipping a beat”. A heartbeat is coordinated by electrical impulses. In some cases, the electrical impulses don’t work properly, causing the heart to beat too fast, too slow, or irregularly. Ablation is a way to fix an arrhythmia and get your heart to beat normally. A catheter is inserted into your vein and guided to the heart muscle. The tip of the catheter delivers a burst of energy that destroys the very small areas of heart tissue that are causing the arrhythmia. 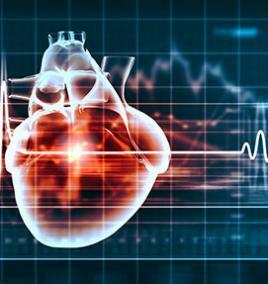 These implantable devices are used to correct an abnormally slow or fast heart rhythm. They sense the heartbeat and turn on when regulation is necessary. These devices can also coordinate the contraction of the heart's pumping chambers to increase the efficiency of the heart and improve congestive heart failure symptoms.